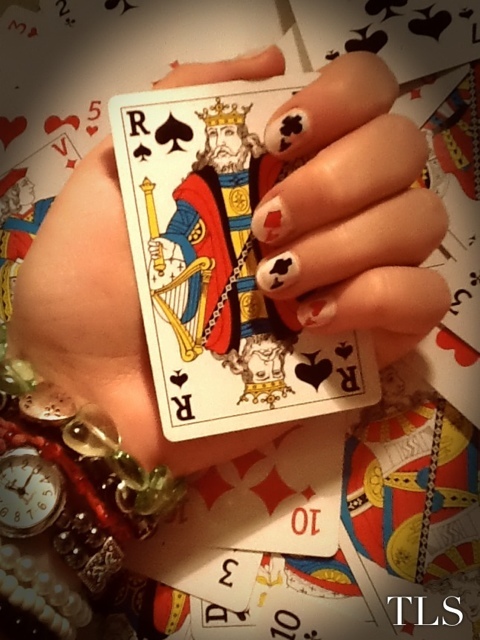 A hand of playing cards. Literally. | details in the fabric..
Give me a spade, I’m digging for diamonds. Give me a club, I’m beating a heart. Deal me your hand and I’ll shake it, my friend. Previous Losing individuality. Next They who drink beer will think beer. Awesome design! What did you put on your thumb, by the way? Thank you so much! 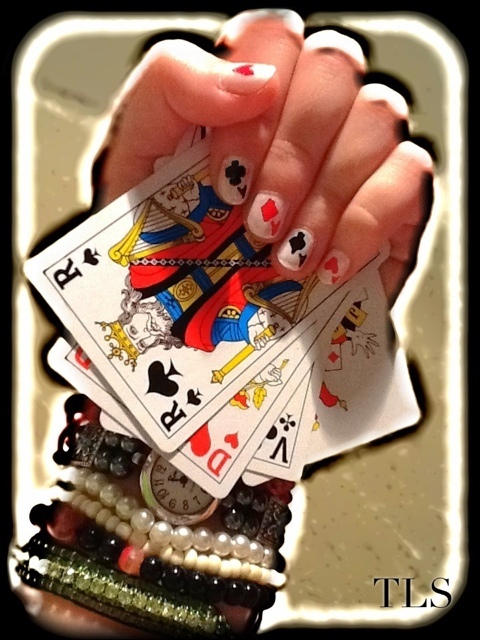 Haha, I tried to do a joker but it messed up so I just repeated the Ace of hearts :D Oops! I feel like I’m constantly looking for interesting things to read about a variety of subjects, but I manage to include your blog among my reads every day because you have compelling entries that I look forward to. I’m hoping there’s a lot more amazing material coming!